Bringing capacity and portability together in a mid-sized cylinder, the new aluminum 10 lb CO2 cylinder with CGA320 valve is a great multi-use worker. 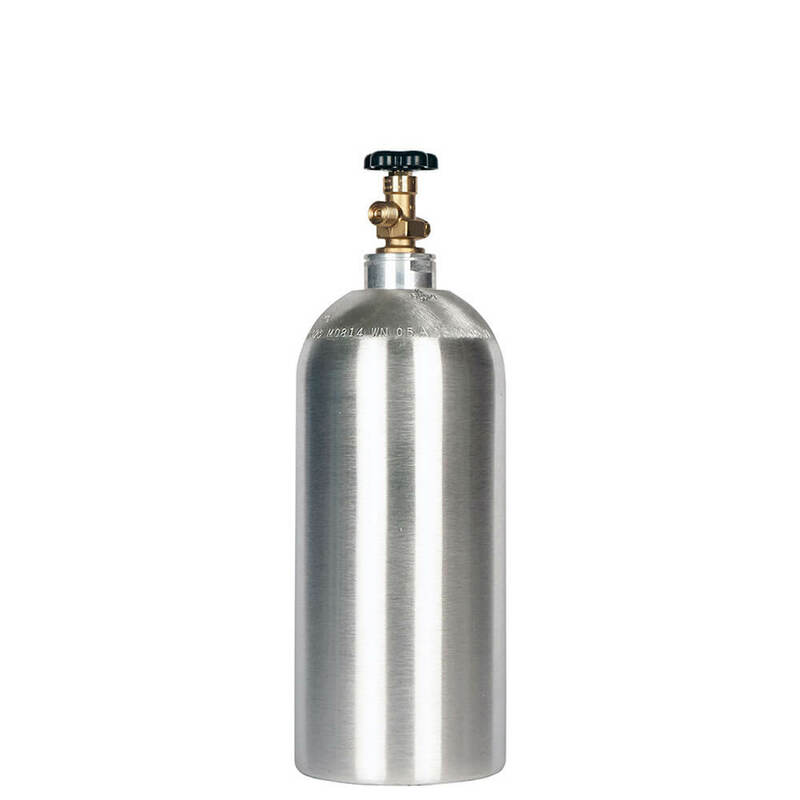 More capacity than our smaller carbon dioxide cylinders without a large weight increase, and easier to transport than bigger tanks. High-quality CGA320 CO2 valves are installed onto a thick-walled body built to strict tolerances. All the advantages of aluminum are here: up to 40% lighter than steel CO2 cylinders, corrosion-resistant, and with a brushed exterior for low maintenance and continuing good appearance.